With the recent economic downturn experienced by many taxpayers, there is a tax concept that is very important: cancellation of debt. You would think that the cancellation of debt by a credit card company or mortgage company would be a good thing for the taxpayer. And it can be, but it can also be considered taxable income by the IRS. Here is a quick review of various debt cancellation situations. * Consumer debt. If you have gone through some type of credit “workout” program on consumer debt, it’s likely that some of your debt has been cancelled. If that is the case, be prepared to receive IRS Form 1099-C representing the amount of debt cancelled. The IRS considers that amount taxable income to you, and they expect to see it reported on your tax return. The exception is if you file for bankruptcy. With bankruptcy, generally the debt cancelled is not taxable. Even if you are not legally bankrupt, you might be technically insolvent (where your liabilities exceed your assets). If this is the case, you can exclude your debt cancellation income by reporting your financial condition and filing IRS Form 982 with your tax return. * Primary home. If your home is “short” sold or foreclosed and the lender receives less than the total amount of the outstanding loan, you can also expect that amount of debt cancellation to be reported to you and the IRS. But special rules allow you to exclude up to $2 million in cancellation income in many circumstances. You will again need to complete IRS Form 982, but the exclusion from taxable income brought about by the debt cancellation on your primary residence is incredibly liberal. So make sure to take advantage of these rules should they apply to you. * Second home, rental property, investment property, business property. The rules for debt cancellation on second homes, rental property, and investment or business property can be extremely complicated. Generally speaking, the new laws that cover debt cancellation don’t apply to these properties, and the IRS considers any debt cancellation to be taxable income. Nevertheless, given your cost of these properties, your financial condition, and the amount of debt cancelled, it’s still possible to have this debt cancellation income taxed at a preferred capital gains rate, or even considered not taxable at all. Be aware that many of the special debt cancellation provisions are set to expire at the end of 2012. If you’re unsure as to how debt cancellation affects you, contact our office to review your situation and determine how much, if any, cancelled debt will be taxable income to you. Here's an important reminder for small nonprofit organizations: If your organization had its tax-exempt status revoked for failing to file an annual return from 2007 through 2009, the IRS is giving you a chance to get reinstated. The IRS has issued guidance for small organizations with gross annual receipts of less than $50,000 that will allow them to regain tax-exempt status retroactive to the date of revocation. To qualify for this reinstatement and a reduced application fee of $100, the organization must submit an application postmarked no later than December 31, 2012. Contact our office if you need details or filing assistance. BankRate.com has a great article on the proposed tax changes by the two candidates. The Obama campaign's tax website touches on broad concepts such as raising tax rates on higher-income individuals and closing loopholes on millionaires and billionaires. As for more specifics, the president has elaborated on tax changes he supports in his annual budgets and State of the Union addresses, as well as in the corporate tax reform proposal issued by the U.S. Treasury earlier this year. Romney also lists on his campaign website some general tax changes he favors, such as income tax rate reductions and maintaining the current tax treatment of investments. But the Republican candidate's plan also is light on details. Romney's selection of Rep. Paul Ryan, R-Wis., to be the Republican vice presidential nominee raised some tax watchers' eyebrows. As House Budget Committee chairman, Ryan created a plan that calls for just two individual income tax rates (10 percent and 25 percent) and no investment taxes for anyone regardless of income. 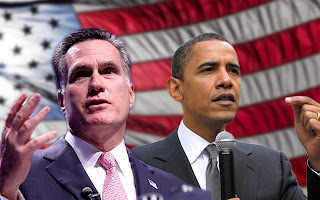 However, Romney says he, not the new vice presidential candidate, is in charge of the campaign's fiscal proposals. Here's a look at Obama's and Romney's positions on major tax areas affecting individual and business taxpayers. Not surprisingly, the two men's tax plans generally reflect the differences between their two political parties. Certain qualified dividends are currently taxed at capital gains rates, which are zero percent for taxpayers in the 10 percent and 15 percent tax brackets and 15 percent for all other taxpayers. Increase capital gains tax rate to 20 percent on high-earners.Impose the so-called Buffett rule, i.e., a minimum 30 percent tax on high-earners. Carried interest taxed as ordinary income. Eliminate taxes on investment income for taxpayers with adjusted gross income of less than $200,000.Retain 15 percent tax on interest, dividends and capital gains for all other taxpayers. Currently, estates worth up to $5.12 million are not taxed, with estates worth more than that taxed at 35 percent. Exempt estates worth up to $3.5 million and increase estate tax rate to 45 percent. Repeal estate tax permanently. This would enable estates worth any amount to pass from one party to the next with no tax. Separate tax rates of 26 percent and 28 percent currently apply to certain taxpayers who make more than an excluded threshold amount. Replace the AMT with the so-called Buffett rule, which would require people making more than $1 million a year to pay at least 30 percent of investment income in taxes. Repeal the AMT altogether. The corporate tax rate is 35 percent at the present time. The proposed rate is 28 percent, except for manufacturers, which would face a 25 percent rate. The proposed rate is 25 percent. There was a 20 percent credit for qualified R&D expenditures in excess of a base amount; a 14 percent simplified credit was available to eligible taxpayers. This R&D credit expired Dec. 31, 2011. It's expected to be renewed. Make the tax credit for production of renewable electricity permanent and refundable.Eliminate tax preferences for fossil fuels. Streamline energy production permitting. Focus on traditional energy resources rather than green technologies that typically are too expensive to compete in the marketplace. If your business is incorporated, it is often a good idea for you to personally own the business real estate and lease it to your corporation. There are a number of tax and nontax concerns relating to real estate ownership. For the income tax considerations, see us before you acquire new business property or before you change the ownership of property you already have. Review your S corporation basis before year-end. Check your basis in any S corporation in which you are a shareholder and where you expect a loss this year. Be sure you have sufficient basis to enable you to take the loss on your tax return. If you're planning a wedding or divorce soon, be aware that your marital status as of December 31 determines your tax status for the whole year. Changing the date of a year-end or new-year event could save taxes. Don't let penalties for underpaid taxes increase your tax bill next April. Check the total tax you've paid in for 2012 through withholding and/or quarterly estimated payments. If you've underpaid, consider adjusting your withholding for the final pay periods of 2012. Tick-tock. Time is almost up on that six-month extension you filed back in April to give yourself more time to complete your 2011 individual income tax return. What happens if you fail to file your return by October 15, the extended due date? One consequence: Unless a disaster-relief exception applies or you have a valid reason, you may be charged penalties and interest. For example, the penalty for filing your return after October 15, 2012, is 5% of the amount of your unpaid tax, per month, up to a maximum of 25%. After 60 days, a minimum penalty of $135 or 100% of the tax due applies. In addition, a late payment penalty of ½ of 1% of the tax due may apply for each month or part of a month that you fail to pay the tax due. The two penalties interact and can be combined. You'll also have to pay interest on the tax due. During 2012, the rate on underpayment of tax has been 3%. The interest is compounded daily and can be charged on penalties. Since the penalty and interest are based on unpaid tax, neither applies when your return shows a zero balance. Filing a return is still a good idea, however. Why? The general rule limiting the IRS to a three-year period for assessing tax begins when you file. No return, no statute of limitations for being audited. Give us a call if you have questions or need filing assistance. If you want to give your tax recordkeeping skills a performance boost, do what accounting professionals do. 1. Maintain a separate bank account for all self-employed business activity. This will greatly minimize confusion come tax time by giving you just one place to look for business transactions. The same is true for credit cards; have a card used solely for business and another for personal purchases. 2. Reconcile your bank statements. Though tedious, it is the only way to know for sure if you've included everything in your records. 3. Take advantage of technology. There are many software applications available for organizing tax records, and digitizing your records can also save office filing space. 4. Track your finances by important tax categories. Knowing how to classify your expenses and income is half the battle. Look at your last tax return or accountant's tax organizer for clues. Individuals should focus on itemized deductions and tax credit categories; business owners should look at Schedule C line items. 5. Be diligent and consistent. Make recordkeeping a year-round task, not a year-end burden. For instance, update business mileage records daily. File away receipts before they are lost. Record tax transactions as they occur throughout the year. 6. Watch for important receipts. You probably already know you should collect the standard items: W-2s, 1099s, and annual mortgage statements. But did you know that charitable donations of $250 or more must be substantiated by a receipt from the charity to be deductible? Also, keep all pay stubs and brokerage statements. They might contain hidden deductions. 7. Hold on to prior-year tax records. Because an IRS audit is always a possibility, keep copies of tax returns and supporting records for seven years. 8. Be aware of special tax breaks. Some records become important as tax rules change. For instance, business owners should be careful to maintain records on major equipment purchases to qualify for enhanced expensing perks. Homeowners need to keep supporting documents for energy-efficient purchases. 9. Keep your tax advisor abreast of major life changes. New happenings in your life, like a job change, new child, or change in marital status might affect how you track your income and expenses. A quick call to your tax pro will help you stay on top of things.